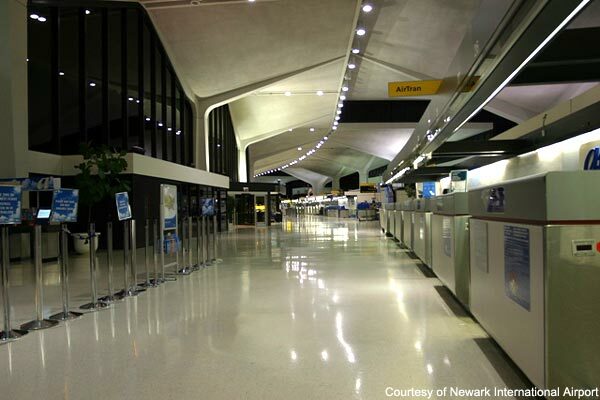 Newark Airport Transportation carries you all the way to the airport by taking you from your home! Door-to-door service presents comfort and the best service before their flight. They do not need to worry about missing the plane. Newark Airport Transportation picks up the customers upon the reservation via telephone or online booking for any time interval they would like to take. Newark Airport Transportation fleet consists of 25 limousines which are brand new. The company vision is to provide the most comfortable journey for their passangers. Competitive advantage of Newark Airport Transportation is providing door-to-door service with amount of only little bit higher than the rivals. There are Wi-Fi and soft beverages along with the daily newspapers to be provided inside all the busses. Passangers can also track the flights on departure&arrival from small screens behind every seat. People who choose to go to airport via Newark Airport Transportation will be mostly business men&women and people at the older ages. In order to attract the other portion of pie, there will be special discounts for students and young population. Call us for JFK airport transportation service! As you take your trip to New Jersey, Delta Limousine and Car Service will be here as your car service to or from Newark Airport and drive you to the different parts of the region or even as farther as New York City. Manhattan is just fifteen miles away from Newark and driving with Delta Limousine and Car Service will get you there in no time! Travelers who are planning to visit The Big Apple can start at Newark as their arrival destination. The travelling distance from Newark to JFK Airport is only 36 miles. This will allow travelers to have stress-free travel for a matter of 30 minutes to an hour, depending on the traffic. The best way to drive to or from Newark to JFK Airport is through Delta Limousine and Car Service. We have the best and experts drivers who know the right turns to avoid congestion and traffic. Delta Limousine and Car Service can give you the convenience and reliability at the right costs in order to get you to New York. Limousine service will even make your trip more relaxing than you can imagine. Taking the limo instead of an airport taxi is far better because it can give you the stress-free experience of taking Newark airport transportation. Wait no more in lines for an airport taxi because limousine service can be available at any time, right when you need it. Paying for a limousine service is also stress-free in considering your budget. An airport car service like the limousine can have just a very slight higher amount of fee as compared with airport taxi or even in a chauffeured car. Tourists and business travelers can enjoy just the right amount of convenience and comfort when taking a limousine service. Do you want to get a relaxing feeling before taking the long hours of flight? The limo service of Delta Limousine and Car Service is just the right one for you! Tourists can enjoy the loveliest of their stay both in Newark and in Manhattan. Once you rent one of the cars from Delta Limousine and Car Service, that means you are off for an adventure around NJ to Manhattan. We suggest that before heading out to Manhattan, you might as well enjoy your car services by going around NJ. Newark, NJ offers the most interesting cultural activities such as museum visits and performance arts center. You might want to have your first stop at The Newark Museum right after you passed the Newark Liberty International Airport. The museum offers interesting facts to enjoy in the field of arts and sciences. Anyone will love the Alice and Leonard Dreyfuss Planetarium and the mini-zoo found inside the museum. Travelling with a family or even with a small group can be much more enjoyable if you take a limousine service. You might want to stroll around the different school buildings like Princeton University, Rutgers University, and the New Jersey Institute of Technology but you’re a little worried about parking. With a limousine service, you don’t have to because we can do that for you. Delta Limousine and Car Service can even assist you in your travel needs as you take your tour in an unfamiliar city. After you are done strolling around NJ with Delta Limousine and Car Service, you could then head out to Manhattan where the Big City awaits. In Manhattan, you can enjoy even the hustle and bustle of the city along with its art scene, cultural events, fine dining, and theatre. Manhattan is one of the culturally rich cities of the world as you can see and hear people speak different languages situated in the same place! We know you can imagine yourself now travelling from place to another, and we want to be part of that journey! Unearth your imagination and let Delta Limousine and Car Service take you there! We are here to give you the ride of your life from Newark Liberty International Airport to anywhere you want to go! Give us a ring or visit us at www.njdelta.com for more info. Ride with you soon! Punctual, clean, professional. I will always select Delta for my family and I when traveling from Montclair to the airport. The team from Delta is extremely professional and dependable. From Scarlett who manages the schedule to James and the team of drivers. They are my only call for a car service. Thank you Delta!! I have been very satisfied with your company’s service and will continue using whenever traveling to the northeast…which is quite often. Thank you. Justin Brands, Inc. | Exec. Asst. I have used Delta Limousine many times for both personal and work trips to the airport. I was particularly thankful for the excellent service we received while travelling to the airport with my family in a snow storm. The driver arrived early, drove carefully and safely in what was frankly terrible weather. I appreciate the service, the dependability and the driving skills of your drivers! Thank you! I am extremely satisfied with the service provided by Delta Limousine and Car service. In late December I had a last minute business trip come up and decided to try Delta. The driver arrived right on time, the car was clean and more importantly, it was well maintained. The driver was friendly and courteous. I could not have asked for more. I will definitely use them again and in fact I am about to call them now to set up my next trip! Excellent service. Clean car, professional driver. On time and used direct routes. I am now a regular client. I found Delta Limousine’s staff to be extremely professional, personable and accommodating on a recent round-trip transport from Essex County, NJ to JFK. The driver was prompt on both ends of pick up and skilled at dealing with NYC traffic– his driving was exceptional. Delta made the first and last legs of a very long trip relaxing and stress-free, and I plan to use their services again. We were first time users of Delta Limousine and would not hesitate to recommend and use them again. The driver was prompt and courteous as well as a safe driver. We arranged a pickup for 4 with luggage from Rutherford NJ to JFK on Sept 3,2009 in a large SUV. A Late model Cadillac Escalade in mint condition picked us up at 1:00 PM (10 minutes earlier) and unbelievably got us to JFK in 45 Minutes. Driver was extremely professional in conduct and driving. I plan to use them again. Outstanding 5 star.